Take in a memorable Uluru Sunrise over the World’s Largest Rock. You then have time to complete an Uluru Base Walk around Uluru. You will see beautiful sites such as the Mala Walk, Mutijulu Waterhole and Aboriginal Cave Paintings. We stop on the way home for lunch at Erldunda. You will arrive back in Alice Springs at approximately 5:30pm and stay 1 night at the YHA Alice Springs (6 share dorm). Back to civilization, get cleaned up and we meet later with your Guide for dinner and a couple of beers at The Rock Bar (optional extra). You will be picked up from your accommodation at 7:15am. Traveling through the West MacDonnell Ranges we make our way to the historic Precinct of Hermannsburg for morning tea. Here we take time to inspect the historic buildings, displays and the magnificent Namatjira Gallery. Leaving Hermannsburg we travel along the ancient Finke River bed to Palm Valley. Along the way discover the Amphitheatre from Kalarranga lookout before an inspiring drive into Cycad Gorge. Its then time for a picnic lunch in Cycad Gorge followed by a walk amongst the relict palm. In the late afternoon we return to Alice Springs watching the fading light reflecting of the Mac Donnell Ranges. You will be dropped back at your accommodation at 5pm and finish the tour. Terms: Please phone The Rock Tour 1800 246 345 when you arrive in Alice Springs to confirm your pick up location and time for both the Rock Tour & 1 day Palm Valley day tour. When you arrive into Alice Springs, please call into The Rock Tour Travel Shop - 78 Todd Street in the main street to confirm your tour booking and get 30 minutes FREE Internet. The Rock Tour Cancellation Fee: The Rock Tour reserves the right to amend itineraries, change carriers & apply surcharges without notice. It is strongly recommended that you have your own personal travel insurance. Cancellation fees are charged at 100% if within 24 hours from departure, 50% if between 24 – 48 hrs and 25% at other times. We accept no responsibility for any injury, illness or other such accident sustained while on tour. We accept no liability for lost or stolen property. There will be no refunds in case of mechanical breakdown or weather conditions and we cannot guarantee pick up & drop off times. Customers need to be aware that we operate in extreme temperature and remote areas and act according to instructions from our tour guides. 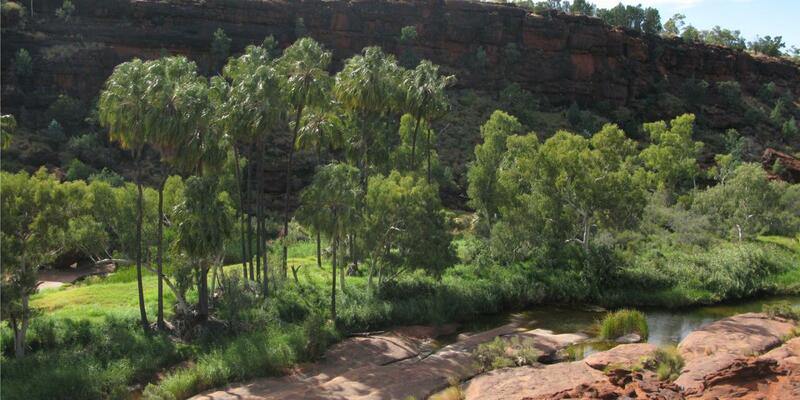 The Palm Valley Day Tour is run by a local Alice Springs company. Third Party Cancellation fees differ from that of The Rock Tours. Please contact chosen company for more details regarding their cancellation fees.